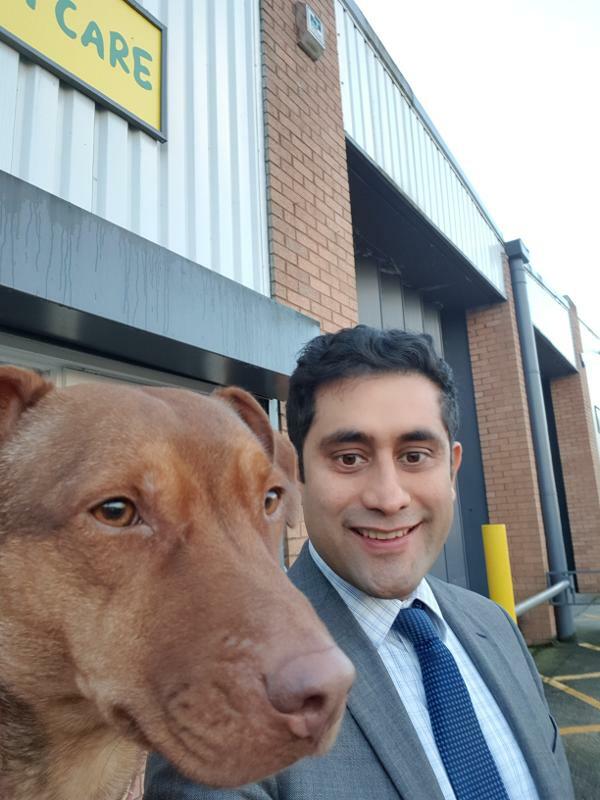 My name is Rishi Shori and I was elected Leader of Bury Council in 2016. It is an honour and a privilege to serve the town in which I was born and raised. 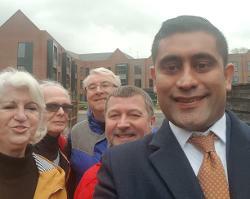 I want Bury to be one of the best boroughs in Britain in which to live, work, and study. Protect and promote our local environment. Please click on the images in my blog for larger versions. If you would like to make a comment for consideration on the blog please use the link below. 17 January 2019: Plastic is not so fantastic! We might be the smallest council in Greater Manchester, but that doesn't stop us taking the lead in important matters. As anticipated in last week's Bury Times, we are on course to become one of the first boroughs in the country to go plastic-free. The plans, approved by council last night (Wednesday 16 Jan), aim to create plastic-free community spaces in Bury's parks, libraries and community and leisure centres. Community groups who share our ambitions will also be able to bid for a share of £20,000 from the council's social capital fund. We're also asking our partners to join the cause and we will, where allowable, require that the requirement to be plastic-free be incorporated into our social value policy, to ensure our supply chain is plastic-free by 2026. Of course, it would be completely impractical to ban plastic completely. So many products we use every day are made of plastic. What we have to focus on in the first instance are single-use plastics such as plastic bottles, drinks straws, bags - basically, products which there are already alternatives for. As part of the PlasticFreeGM campaign, which has been launched by Greater Manchester Mayor Andy Burnham, the GM Combined Authority has been in talks with United Utilities to bring a bottle refill scheme to Greater Manchester. This includes the installation of a number of water fountains across the conurbation. As a result of this initiative, we will trial two public water fountains in Prestwich and Whitefield to encourage residents to refill their re-usable bottles instead of buying single-use plastic bottles. These fountains will be paid for by United Utilities. We were the first council in England to debate the introduction of deposit return schemes, back in 2017, and this has now been taken up by the government in its English waste strategy document. So these things can, and will, be done. While our plans for plastic are ambitious, they will have to be complemented by a range of other measures to improve and protect our environment. So that was 2018! It's certainly been a tumultuous year, and Bury has continued to labour under the weight of austerity. Whatever anyone says, folks, it's not over, and there will be many more challenges next year. What is certain is that the success of our business sector will be crucial to the wellbeing of our borough. That's why I was delighted to see that Bury had been designated the 'most entrepreneurial area of Greater Manchester', beating the city itself to top the Red Flag Alert Start-up Index. 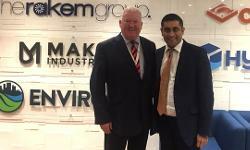 There was no mistaking the innovation and energy at the annual Made in Bury Business Awards, at which Rakem Ltd. won the Outstanding Achievement award. 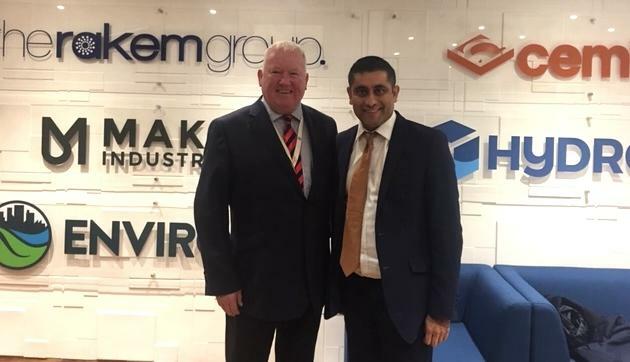 I had the pleasure of visiting this excellent company, and hearing about their future plans. I'm pictured here with group director Kevin Rafferty. We have many success stories to tell about how business is thriving in Bury, and you can read more about this in my regular monthly Bury Times column: Bury Times - Leaders view: Dont let Brexit hide good things being done in Bury. Jobs and investment will also feature heavily in the Greater Manchester Spatial Framework, which will go out to public consultation early in 2019. It is vital that we link together the issues of housing and economic regeneration to ensure that Bury remains a great place in which to live, work and study. I can assure you that this council will continue with its 'brownfield first' policy when it comes to new developments. Some recent examples show how this can be done: our new extra care scheme at Peachment Place is coming to fruition (see full story here: My News Desk - Flagship extra care scheme ready to open in New Year), a planning application is imminent to build new houses on the former East Lancashire Paper Mill site, and new affordable housing is nearly ready at Mayfair Gardens - all on brownfield sites. 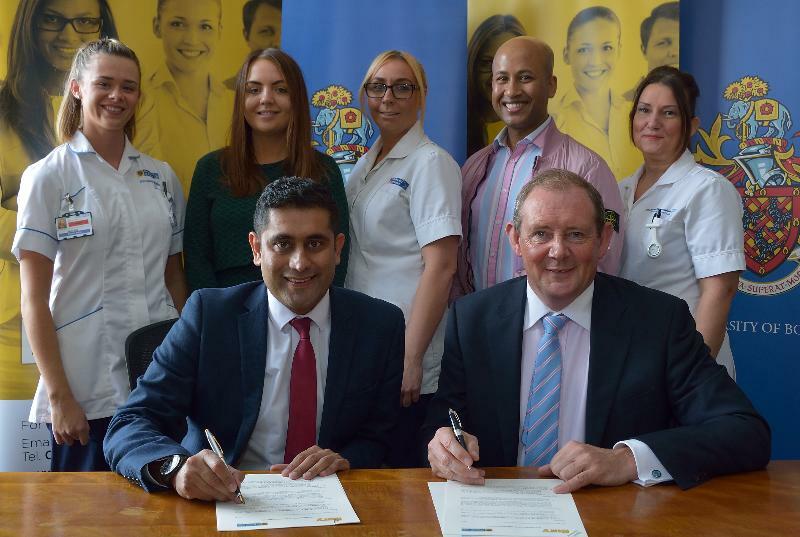 We'll be looking forward to building our relationship with the University of Bolton, to help provide education and training opportunities in Bury with a hi-tech focus; and to ever closer working with the NHS to bridge the gap between health and social care. At Christmas, we're reminded of the important of community. So it was wonderful to meet members of Bury's newest community group - Goshen Community Association - who formed in September and will work to improve their area. We're pictured outside Peachment Place. And there is no shortage of local organisations able and eager to help their fellow man and woman. Scores of groups have applied for a share of our new Social Capital Fund, and we'll be announcing the successful applicants in the new year. Can I remind you that Christmas is a fantastic time to recycle? Think of all those drinks cans and bottles, which can go in the blue bin; all that cardboard packaging, in the green bin; all that leftover food - and there's always tons at Christmas - in the brown bin. For help on how to recycle over the festive period, go to About your bins. And finally, can we spare a thought for those who are less fortunate than ourselves, for whom Christmas will hold little joy. Even small acts of kindness can make a big difference. Whatever your faith, can I wish you all the very best over the Christmas and New Year period. Remembrance Sunday is always an emotional occasion, and this week's commemoration will be more poignant than usual. This year marks the centenary of the Armistice which halted the fighting in the First World War, a conflict which at the time was supposed to be the war to end all wars. The hindsight afforded by one hundred years tells us that we must continue to struggle to defend the values of liberty, tolerance and respect that underpin our country. Bury, along with towns across the land, suffered losses which spanned generations. As the spiritual home of the Fusiliers, the ill-fated campaign at Gallipoli affected every family, and is etched on our collective memory. So it gives me great pleasure to mention the culmination of a magnificent project run by Bury Archives, who have spent four years assembling a vast digital archive of records relating to local soldiers who fought in the Great War. To be launched in the new year, this will contain more than 30,000 pieces of information - photographs, obituaries, newspaper articles, wartime letters and even recipes. This will be a phenomenal resource for historians for a long time to come. Before then, can I draw your attention to an exhibition currently running at Bury Art Museum. Called 'Small Acts of Unforgetting', it features photographs taken around the borough of locations where local soldiers lived, reminding us that no fewer than 588 Bury soldiers died in just the first 17 months of the war. 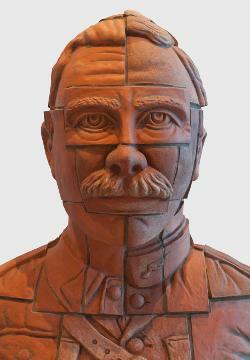 Artist Paul Cliff will be at the museum on Friday (9 November) to talk about the project - why not go along and meet him? You can read all about this at My News Desk - Small Acts of Unforgetting - Armistice event at Bury Art Museum. Onto happier matters, and it seems that Bury is leaps and bounds ahead of any other district in Greater Manchester when it comes to new companies being launched. A new study revealed we are the 'most entrepreneurial' area in Greater Manchester, beating Manchester to top the Red Flag Alert Start-up Index. The rate of new business start-ups is phenomenal for a borough of our size. It is yet more evidence of the amazing talent we have. The accolade is based on the highest rate of firms launched last year. According to analysis by Manchester-based business intelligence service Red Flag Alert, 5,644 start-ups were launched in 2017. With a population of 189,628 this works out as 29 per 1,000 people, a rate twice as many as its nearest rival Manchester. The #BuryMeansBusiness initiative is clearly having an impact with people who want to start their own company and shows that we are being recognised as the pro-business borough of the city-region. This confidence in Bury as an entrepreneurial hub is visible, with multi-million-pound investments such as the CSF car showroom opening near the town centre. The very real impact of #BuryMeanBusiness is reflected in the 2017-18 Manufacturing & Services Parliamentary Review. Out of 11 case studies in the review, our borough makes up a whopping three of the best practice examples highlighted in the review: an extraordinary accolade given our relative size. Featured in the review are MelbaSwintex and Rakem, both based in Bury, as well as West & Senior based in Radcliffe. You can read more about this in my monthly Bury Times column - go to Bury Times - Leaders message: Bury is leading the way with new business. It's no surprise to Bury residents that there's a lot going on in this borough which makes it such a great place to live. What's just as important is that large numbers of people from elsewhere are discovering this too, and heading to Bury at a fair rate of knots. This is doubly heartening; not only because we're happy to welcome visitors and show them what we have to offer, but also because it is increasingly important to our economic wellbeing. Experts say tourism and leisure is worth hundreds of millions of pounds to Bury, and supports thousands of jobs. It's easy to see why Bury is attractive - here are just a few examples of recent and upcoming events that are proving hugely popular both home and wider afield. Take our Victoria Wood exhibition, which has just opened at Bury Art Museum. This is a real treasure trove for fans of Bury's most famous 'daughter', boasting artefacts from her illustrious career, and going right back to her childhood days. Millions loved Victoria, and this is certain to become one of the most visited shows the gallery has ever put on. Thousands more have just enjoyed the Head for the Hills festival at Ramsbottom Cricket Ground, headlined by the Boomtown Rats. This is an excellent (and truly family friendly) festival which appeals to both locals and visitors, and is now a firm fixture in the Bury calendar. Hundreds managed to combine fun with fitness on Sunday by taking part in the third annual Asda Foundation Bury 10k run. Covering a route through the town centre and onto Radcliffe and back, it supports the Jane Tomlinson Appeal, Bury Hospice, Early Break and Women's Housing Action Group. The shorter Arena Group Family Fun Run gave families a chance to participate and help the partner charity Forget Me Not children's hospice. Bury has already played host this month to thousands who came to ride on the iconic Flying Scotsman at the East Lancs Railway. And we've just had the Bury Black Pudding Throwing Championships in Ramsbottom, which was won by a man from the West Midlands. Apparently he's been coming here to compete for five years, and they reckon their black puddings are better than ours. What I say is: we need to get in training for next year's tournament! Treating perfectly good Bury black puddings with such disdain will be blasphemy to some. But there's good news: three of our restaurants have just been listed in the nation's official Good Food Guide - Ramsbottom eateries Levanter and Baratxuri, plus One Eighty Eight in Whitefield. Offering visitors and locals good food is also a major reason why the revamped Radcliffe Market hall is doing so well. Have you been to their Friday food nights? They are fabulous evenings, and are really bringing in the crowds. Let's not forget Bury Market. We all know it's won countless accolades for being a great market, but now it's being recognised nationally for its green credentials. It has just won a Green Apple environmental award for its environmental policies, such as being energy efficient and promoting recycling. The market will be presented with its award in November at Westminster Palace (very grand) and may be chosen to represent the country in the international Green World Awards competition next year. Here's another date for your diary - the very first Bury Pride autumn benefit is held at the Elizabethan Suite on 28 September. The Pride walks have become a fixture in the local calendar, and this 'black tie' dinner and night of entertainment, featuring Pop Idol's Michelle McManus, is sure to follow suit. Make a note also of the first Prestwich Arts Festival, which takes place on 29 and 30 September, bringing a wide range of attractions to the village. It's no wonder that Prestwich is recording some of the highest house prices in the country. Regular highlights - from the Ramsbottom Chocolate Festival to Festwich - show how successful Bury is in providing a range of wonderful occasions that can be enjoyed by residents and visitors of all ages. We're playing our part too. We've signed a memorandum of understanding with the University of Bolton, a visionary plan to develop state-of-the-art infrastructure in Bury for education and economic regeneration. One of the areas this will focus on in tourism and leisure in today's digital age, and I'm really looking forward to our partnership bearing fruit in the years to come. All this demonstrates that, in Bury, we're building on our remarkable heritage while focusing on the future. When everyone works together, we can make our borough flourish; for those of us lucky enough to live here, and for the many who will want to. PS: Huge congratulations to Bury cyclist Simon Yates, who has triumphed in the Vuelta Espana, a magnificent achievement. His success means that British riders have won all of this year's major tournaments. Another good reason to feel proud of Bury! We live in an increasingly digital age, yet the physical environment that surrounds us still shapes who we are. And in Bury, we are privileged to live and work in a fantastic place. From vast swathes of countryside such as Burrs Country Park, to the Irwell Sculpture Trail - the largest public arts scheme in the North West - and the distinctive Bury town centre cultural quarter, we live in a beautiful borough. Part of what makes our borough special are its trees. By looking after our woods, we become a more resilient and sustainable place. We are working in partnership with the Forestry Commission to consider the future management of some additional woodland areas, including Philips Park, Outwood trail and Prestwich Clough. The project aims to create a vast urban forest, 50 per cent bigger than Heaton Park, on a par with New York's Central Park. Of course, being happy where you live goes beyond green spaces. With the majority of people now living and working in urban areas, the great outdoors can only go some way to enhancing our wellbeing. We need to ensure that our town centres are flourishing places where people want to spend time. Multi-million pound plans to transform the heart of Prestwich are one step nearer reality following a 'summit meeting' of the main partners alongside Mayor Andy Burnham and myself earlier this month. The vision is Prestwich Village - a modern and lively centre with a focus on living, creativity, shopping and enjoying life. Early design concepts include a hotel, restaurant, shops, a food hall and a number of apartments. A key element is the provision of community facilities to serve the local population. It is envisaged that this hub will provide healthcare, leisure, a library and community space meeting space. Ramsbottom is another town in our borough which is booming. I was delighted to support the Best of British Retail Awards bid for the town, alongside local business leaders. This would be another feather in the cap of the town, which recently featured in a Guardian article: 'Let's move to Ramsbottom: the town is a delight'. Better public transport is critical to our environment, not just in terms of future-proofing for the next generation, but creating a lifestyle where local people have the means to walk and cycle. We have filled 1,000 more potholes so far this year. The real difference we can make though, is to encourage alternatives to car travel. We actually have a once-in-a-generation opportunity to revolutionise the way we all get around. Beelines is an ambitious plan to give people a real choice in how they travel; easing congestion, improving health and creating better places to live. I'm delighted that we have a first stage allocation of £2.6 million for new or improved road crossings and £1.2 million for improved cycle parking at Metrolink stations. The first Bury scheme includes 16 new and upgraded crossings and junctions, costing in the region of £2.6 million. 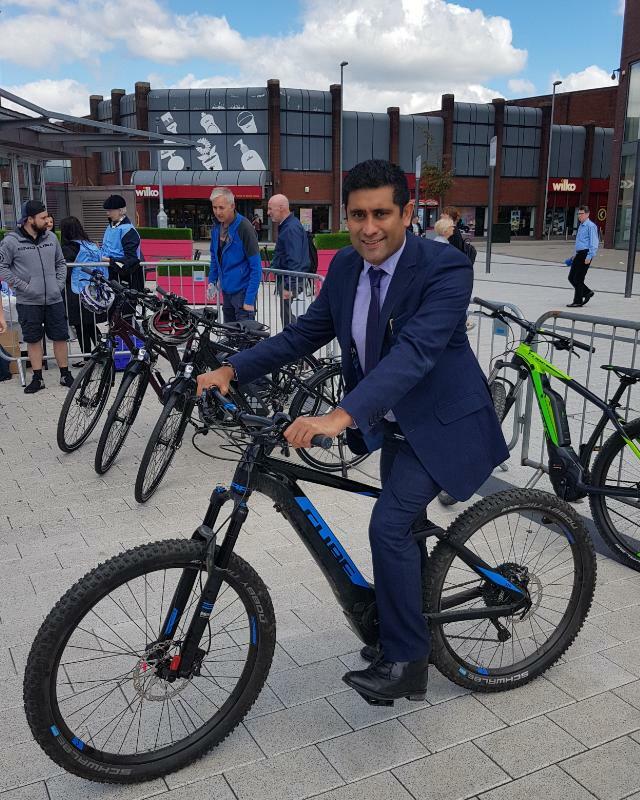 The second stage would see new cycle parking provision, including highly visible and accessible locations at Metro stops, with lighting and CCTV. Renewable energy continues to soar in the UK and Bury is no exception. The world's first grid-scale liquid air energy storage (LAES) plant was launched in Bury in June. The plant is located on project partner, recycling and renewable energy company Viridor's landfill gas generation site. LAES technology makes use of a freely available resource, the air, which is stored as a liquid and then converted back to a gas, involving an expansion process that releases stored energy, and this drives a turbine to generate electricity. This technology can scale to hundreds of Megawatts in line with the energy demand of urban areas the size of small towns up to large cities. This means that LAES plants could easily store enough clean electricity generated by a local wind farm to power a town like Bury (around 100,000 homes) for many days, not just a few hours. In addition to energy storage the plant also converts waste heat to power using heat from the onsite landfill gas engines. Long-duration energy storage is critical to enable the broader deployment of renewable energy; overcome the intermittency of solar and wind energy; help smooth peaks and troughs in demand; and provide the UK with a stable and secure source of homegrown energy. Places are also about communities, local identity and social cohesion. This month I launched 'A Shared Future' alongside the Mayor and Deputy Mayor Bev Hughes. In this Social Cohesion Report, our Greater Manchester collective response to the Manchester Arena attack, we advocate for a whole-society approach to gathering information and tackling extremism. It is clear that the nature of terrorism has changed and cities need to face up to the consequences of that. It is no longer the case that acts of terror are likely to perpetrated by known terror organisations. Now, it can be individuals or small, localised groups who plan and carry out these atrocities. In return, this development requires a new, more localised response. We are stronger when we work together as a community. In Bury, we are very well placed to support each other as a community. We may be small, but we pack a punch! And our size can be advantageous in sustaining a strong community spirit. We are the friendliest place in Greater Manchester, with dementia and autism-friendly spaces. 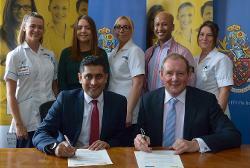 This focus on 'locality' or place is also at the heart of health and social care integration. People value local joined-up health and care services, where they live. Bury is a place to be proud of. 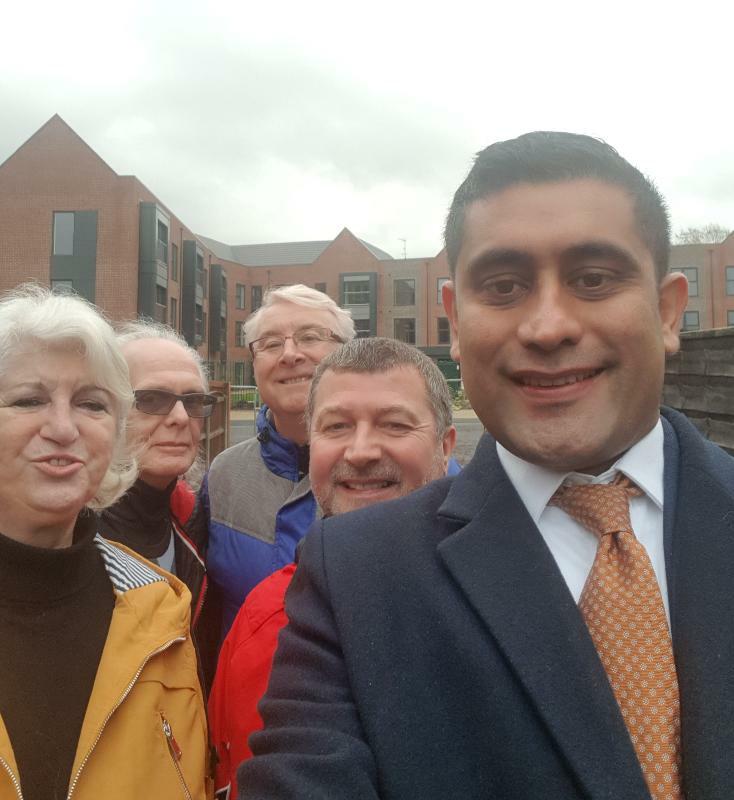 I love getting out and about in our wonderful borough, so please invite me to your events, especially those that celebrate Bury as a great place to live, work and play. One of the privileges of doing this job is getting to meet so many people in Bury who are working every day to improve our borough. It was a pleasure to visit the charity Rebuild who are celebrating their 20th anniversary, after just winning a Queen's Award. Not only that, their town centre base is moving just round the corner onto The Rock. 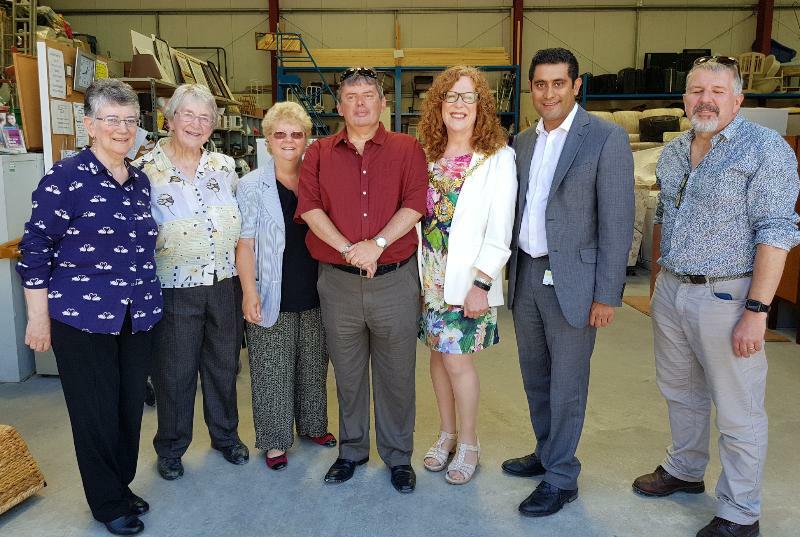 They do tremendous work helping thousands of people each year by providing affordable furniture and skills to disadvantaged people. I'm pictured with Liz Jackson from Re>Build and the mayor, Cllr Jane Black. The success of local enterprise is vital to the health of our borough, and I've been having regular discussions with members of Whitefield Business Group on how we can improve that part of our borough. I hope to be able to make an announcement very soon. Creating a healthy, modern and sustainable environment is crucial for our wellbeing. This is why I'm delighted to support the Beelines master plan, launched this week by Olympic champion and Greater Manchester's cycling and walking commissioner Chris Boardman. This will create the UK's biggest cycling and walking network across the city region; in Bury, this will feature 64 miles of new cycling and walking routes, five miles of Dutch-style segregated cycling lanes and 71 new or upgraded crossing points. These will better connect every community in the district and make cycling and walking a real alternative to the car. 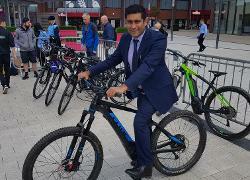 I took the chance, on Clean Air Day, to try out the latest electric bikes on The Rock, courtesy of Leisure Lakes. Finally, we must never forget the phenomenal contribution that thousands of local people make to looking after the most vulnerable in our society. It was National Carers Week recently, which aimed to raise awareness of caring and highlight the challenges carers face. Did you know there are 280,000 carers across Greater Manchester - and these are only the ones we know about? 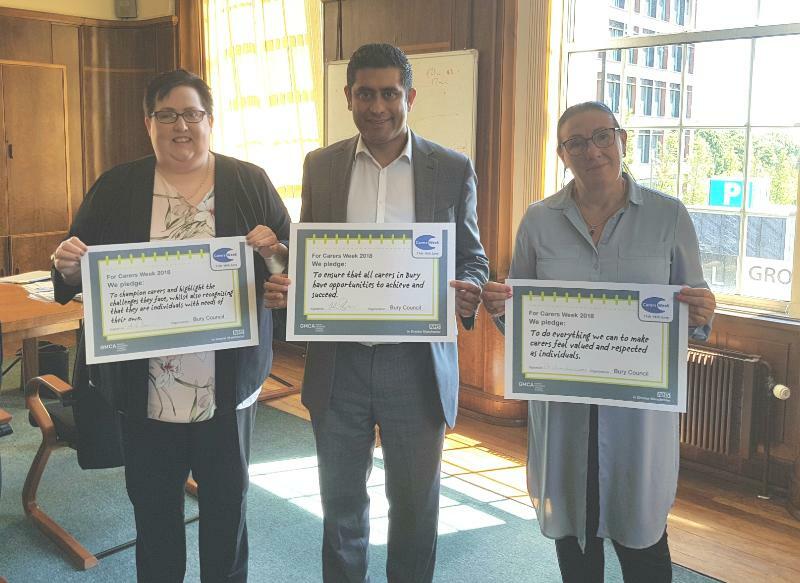 At the council, we're playing our part in supporting them - I'm pictured signing the Carers Pledge, with deputy leader Andrea Simpson and interim chief executive Pat Jones-Greenhalgh. You may by now have read about the budget that the council set last week and the level of council tax. Frankly, I'm thoroughly fed up with these relentless years of austerity, in which our Government grant is slashed while demand for services from our most vulnerable people inexorably goes up. Despite our annual struggle to square the circle, we're still putting our most needy people at the heart of what we do. We've ring-fenced some of the council tax rise to protect children's services, prevent homelessness and get young people ready for the world of work. Make no mistake, there are still many good news stories here in Bury. Take the reopening of Killelea intermediate care facility, which has been transformed with a £2.1 million renovation. This is a fantastic development which will be hugely popular with residents, helping to keep them out of hospital and get them back to fitness. I'm pictured here at the reopening along with the Mayor, and you can read more about the new Killelea at My News Desk - Our new choices for living well facility at Killelea House. There's also been the official opening of the new Lidl store in Radcliffe, another piece in the jigsaw which is turning round the town centre. And later this month I'm launching a new Radcliffe Regeneration Task Force to ensure that these improvements continue, in partnership with local people and businesses. It's not all serious stuff, though. 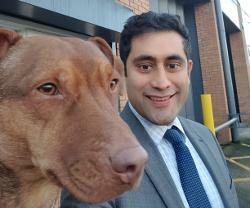 I recently paid a visit to Stay N Play Doggy Daycare to see their plans to encourage responsible dog ownership by working with children in the local community. I'm pictured with Millet - one of my very best selfies, don't you think? You can find out more about the company here: Stay N Play Doggy Daycare. It's been a busy few weeks, and the pace is not letting up. You may have read about our plans, with Homes England, to create 400-plus new homes on the former East Lancs Paper Mill site. This is a major project which will benefit many families who until now have been unable to get onto the housing ladder - and what's more, it's on brownfield land, which is always our first priority when house building. It will also continue the regeneration of Radcliffe, another of our top priorities. Speaking of Radcliffe, we have just agreed to bring in an independent operator to run Radcliffe Market Hall. Times have changed, and they will bring lots of new ideas on how best to bring more people into the town centre and enjoy a new-look market with food and drink, plus entertainment and community uses, to the fore. We're also taking action to get the Kay Street Bridge in Summerseat fully re-opened, following the damage caused by the Boxing Day floods of 2015. We've agreed to use Compulsory Purchase powers, if necessary, to buy land from private owners which we need to carry out the work. I'd like to invite you all to a public open day at Killelea House in Bury on Wednesday (7 Feb). Our new intermediate care facility is re-opening following a £2.1 million refurbishment, another major investment which will bring benefits to our most needy people for many years to come. You can read more about it here: My News Desk - Come and see the new £2.1 million "Choices for Living Well facility" at Killelea House. Other matters: it was an honour to attend the Holocaust memorial service in Prestwich last week. This annual remembrance is always very emotional, and reminds us why we must work tirelessly to ensure that such dreadful episodes in our history must never be repeated. Well done to all the young people from our schools and colleges who made it such a moving occasion. 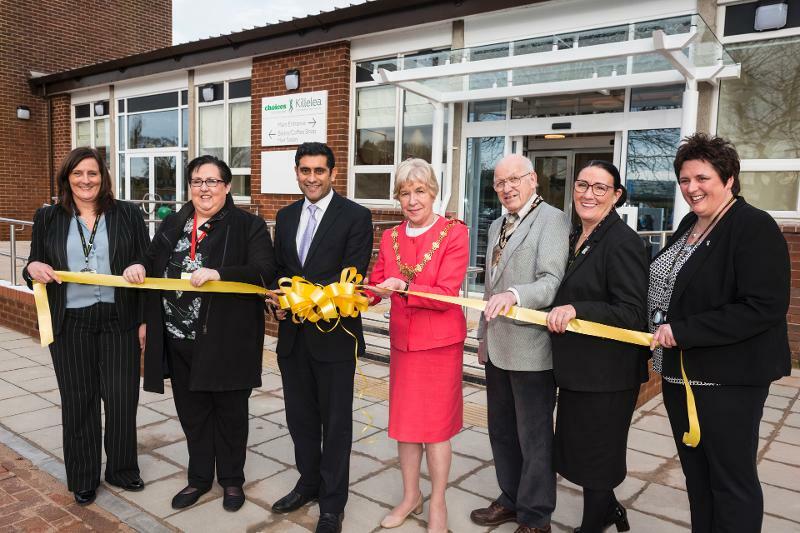 I'm pictured at the event with deputy council leader Andrea Simpson, Bury South MP Ivan Lewis, the mayor Cllr Dorothy Gunther, and the council's interim chief executive Pat Jones-Greenhalgh. I'm also very pleased that the council has moved up ten places to be Number 41 in Stonewall's list of the country's top 'equal' employers, the third best council in the land. And many congratulations to one of our staff, Natasha Franklin, who they chose as their National Lesbian Role Model of the Year for all the work she does on LGBT issues. We've just made some changes to our new online car parking permits, after some people said they did not have internet access. I'm pleased to say that we've amended the system, and we will allow them to continue using their traditional paper permits. We do listen, you know. Condolences to the family and loved ones of Mark E. Smith, visionary leader of The Fall, who recently passed away. Mark lived in Prestwich for much of his life, and cut a unique and highly influential figure in the world of music over the last four decades. Finally, the environment is another of our top priorities, and I've got quite a bit to say about that in my latest monthly column in the Bury Times. You can read all about it, as newspaper vendors used to say, by clicking on the BT's website here: Bury Times - Looking after where we live.